Depending on the location, persons caught carrying a stun gun or TASER in Illinois could face a felony conviction. That was until last Thursday when the Illinois Supreme Court ruled unanimously to strike down the ban on carrying stun guns and TASERs in the Land of Lincoln. Now, these devices may be possessed and carried by anyone at any time, anywhere in Illinois. For now at least. New York had a similar decision released Friday, but the Illinois case involves carrying these defensive devices in public locations. The state of Illinois then appealed the circuit court’s decision directly to the state Supreme Court. 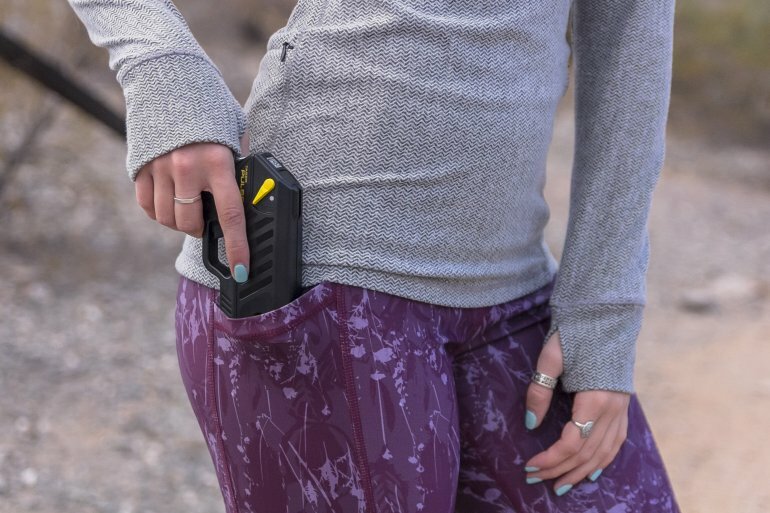 The high court noted that stun guns and Tasers are not covered under the state’s concealed carry laws, thus citizens cannot be charged for unlawful use of a weapon for carrying one in public or in their vehicle under a violation of that law. facially unconstitutional under the second amendment. The courts have given good people in America a number of wins recently. And this decision stands as the second victory for this week in the Land of Lincoln. Yes, TASERS are now legal in Illinois, without legal prohibitions on carrying them. By anyone. At the same time, don't be a bonehead and try to carry them into courthouses, police stations and similar locations. And let your LEO friends know of the law change so they don't get jammed up making an arrest of someone with something that's now legal! This entry was posted on March 24, 2019 at 2:30 pm and is filed under Blog. You can follow any responses to this entry through the RSS 2.0 feed. Don’t LEOs get informed of these things on a regular basis, as a normal part of their job? You'd think so, but nope. For example, Rauner made switch blades legal in late 2018 but when I spoke with local PD they didn't know until they looked it up in a computerized database. The PIO said "Huh. Yup, mechanical knives are legal now." A violation of Concealed Carry and UUW (Unauthorized use of a Weapon) are two completely different charges. When you write an article, please do a little bit of research. Carrying a Tazer has nothing to do with concealed carry prior to this ruling. Consider this a strong support against the democrats MEAT TWO movement . Teach the children the safety and use of tasers.